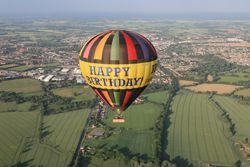 Hot air balloon rides with the UK’s only Happy Birthday Balloon Flights Operator - Giving a balloon flight gift voucher for a birthday present is an awesome surprise for anyone and here at Adventure Balloons we can make the gift even more memorable - by flying you in the UK's only "Happy Birthday" balloon. 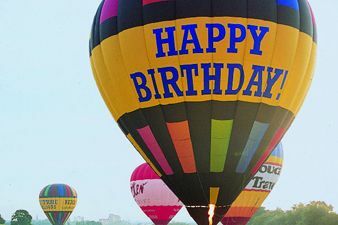 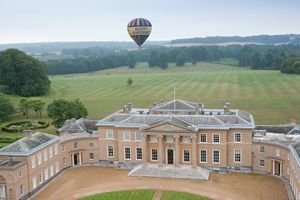 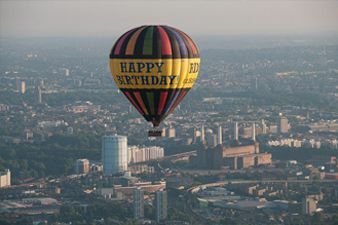 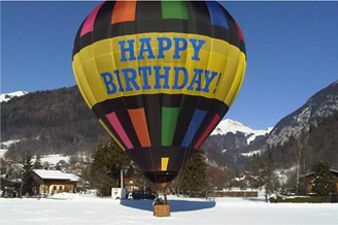 When booking a date for your balloon ride just check with our staff for available dates to fly in one of our happy birthday balloons at no extra charge. 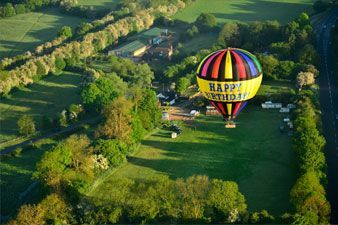 (Available on most of our balloon flights in Berkshire, Essex, Hampshire, Lincolnshire, London, Oxford, Surrey and York in 2014). 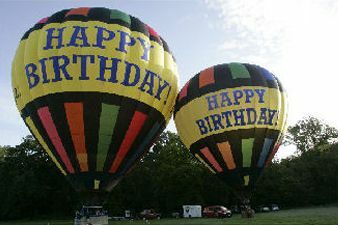 We also have a small exclusive happy birthday charter balloon that can be used for couples click here for more details. 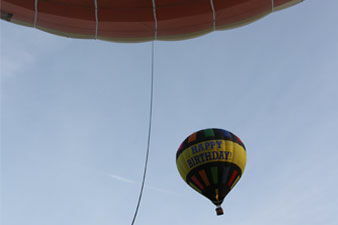 Balloon Rides over Essex in our Happy Birthday Balloon. 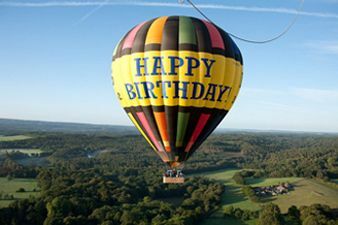 Adventure Balloons Ltd, Winchfield Park, London Road, Hartley Wintney, Hampshire, RG27 8HY.